This year the United Nations is holding an Open-Ended Working Group on nuclear disarmament. Mines Action Canada capitalized on our experience with the Ottawa Treaty and Convention on Cluster Munitions to submit a working paper to the OEWG on the need to include victim assistance in a treaty banning nuclear weapons. The working paper is available online here. Last week saw global outrage over the bombing of two hospitals in Aleppo, Syria. Coming soon after the bombing of a civil defense centre, the destruction of al-Quds hospital and Al Marjeh Primary Health Care Centre within days of each other made headlines around the world. Sadly, these horrific and illegal bombings were not isolated incidents. Over the last few years, Syria, Yemen, Afghanistan, South Sudan and too many other countries, have seen attacks on health care facilities. Although health care facilities and medical personnel are protected under International Humanitarian Law (IHL), making such attacks war crimes, 2015 witnessed an alarming increase in these illegal tactics. To be clear, these are not mistakes or accidental collateral damage but targeted attacks on those providing life-saving medical care in the midst of conflict. As a result, there has also been a rise in the number of unmarked ambulances and covert field hospitals established in conflict zones. These field hospitals have even become the main source of health care in opposition controlled Syria. With hospitals, ambulances and medical facilities under attack or destroyed, thousands of civilians are being denied a fundamental human right guaranteed by the 1946 Constitution of the World Health Organization and the 1948 Universal Declaration of Human Rights: the right to health. This unacceptable war tactic is exacerbating already dire humanitarian crises around the world. The ongoing situation not only undermines the credibility of the international community, but also highlights one of the most damaging long term impacts of the use of explosive weapons in populated areas. Attacks against medical facilities impede access to health care and have disastrous impacts on long term health. Beyond the obvious death and injury caused by attacks on health care systems and the lack of emergency treatment for those injured in the conflict, targeting health care has wide-spread humanitarian impacts. The already overwhelmed health care systems of states in conflict are often unable to cope with the influx of patients caused by the destruction of medical facilities. “Targeting the health system has compounded the crisis, caused many medical personnel to flee, and prevented countless civilians from getting treated’’ said Widney Brown, Physicians for Human Rights’s director of programs. In addition to war-injured persons, thousands of people are dying of preventable causes because they unable to access proper health care across conflict zones. Targeting medical facilities has also impeded vaccination campaigns. The outbreak of polio in Syria and Iraq which started in October 2013 was called “the most challenging outbreak in the history of polio eradication.” Before this outbreak, polio was last reported in Syria in 1999 and in Iraq in 2000. Unusually large outbreaks of malaria and dengue fever were reported in Yemen by the WHO in 2015. Additionally, fighting forced the postponement of a polio and measles vaccination campaign endangering the lives of millions of children in Yemen. Attacks on medical facilities and health care providers have been a feature of the conflict in Syria. A report from Physicians for Human Rights (PHR) identified that between March 2011 and December 2015, 346 attacks were conducted on 246 Syrian medical facilities, killing 705 medical personnel. Syrian government and Russian forces were found responsible for 315 attacks according to the NGO. Hospitals were specifically targeted on at least 211 occasions. The scale of attacks on medical care in Syria is overwhelming, we will just look at attacks on hospitals in Aleppo, both the city and governorate. The city of Aleppo, Syria’s most populous city, saw its health care facilities attacked 45 times in the three years prior to October 2015. As a consequence of these attacks, less than a third of its hospitals were functioning in late 2015, and the ratio of doctors to residents is eight times less than before the conflict started, denying access to much needed medical services. “The Syrian government is using attacks on Aleppo’s health care system as a weapon of war” said Dr. Michele Heisler, of PHR. A late January 2016 Russian air attack destroyed the last major hospital, the Andan Charitable Hospital, in northern Aleppo. The hospital was providing advanced medical services, including surgery, to residents of the Aleppo countryside. Residents are now forced to travel 50 km to clinics along the Turkish border to receive health care. The hospital was directly targeted by Russian airstrikes. A doctor and a 10 year old patient were killed, and 24 others were injured as a result of the attack. The already fragile health care system in Yemen is coming under severe strain since the conflict erupted in March 2015. The WHO has estimated that almost a quarter of Yemen’s medical facilities are no longer operational due to the violence. “The health system is on the brink of collapse” declared Dr Ahmed Shadoul, WHO Representative for Yemen. The situation is so dire that the president of the ICRC, Peter Maurer, said that “Yemen after five months looks like Syria after five years", warning the international community of the growing humanitarian catastrophe as medical facilities continue to be targeted. Two ICRC staff were killed by gunmen in September 2015 and the organization’s office was raided by gunmen in a separate incident. An attack on a medical facility in Afghanistan in October 2015, brought the issue of attacks on health care to the general public’s attention. The MSF hospital in Kunduz province, the only trauma centre in northern Afghanistan, was repeatedly attacked and eventually destroyed by U.S airstrikes, killing 42, including 14 staff and 24 patients and 4 caretakers. Now, residents in the Kunduz province have to either go to expensive private clinics, or attempt the long and dangerous journey to Kabul or Pakistan to receive treatment. On 29 April 2016, the United States Department of Defence released their long, jargon filled and partially redacted report on the incident and said the incident was not a war crime. The hospital in Kunduz has not yet reopened. In December 2011, during the 31st International Conference of the International Red Cross and Red Crescent Movement, the international community adopted a resolution mandating the ICRC to initiate consultations with subject matter experts to formulate practical recommendations for improving safe access to health care services. The “Health Care in Danger” project was created to achieve this objective. The ICRC published its first recommendations in 2013. In conjunction with those 2013 recommendations, the United Nation (UN) adopted four resolutions for the protection of health care services during armed conflict in December 2014. This reinforced the principles in four Geneva Conventions and two additional Protocols already providing for the protection of health care facilities. These resolutions asserted to warring parties that attacks against medical facilities constitute a war crime. However, governments and rebel groups appear to be ignoring the warnings of the international community, as more and more hospitals and medical clinics become the targets of attacks. awareness on the fact that its hospitals have been bombed every week in 2015 and 2016 in Syria and have been targeted countless times worldwide. The #NotATarget campaign demands that medical facilities stop being treated as military targets in conflict zones. The longer these attacks are tolerated by the international community, the more likely they will become a new norm in armed conflicts. The usually reserved ICRC is speaking out more on this issue, most recently in collaboration with MSF, and the ICRC President Peter Maurer has been uncharacteristically blunt. In our humanitarian disarmament work, we advocate strongly for effective assistance to victims of landmines, cluster munitions, explosive remnants of war and explosive weapons used in populated areas. The targeting of health care facilities and medical personnel prevents victims from getting the emergency and long term care they need. The international community has a chance this month to reverse course and reaffirm international prohibitions on attacking medical facilities. Tomorrow, 3 May 2016, the United Nations Security Council is scheduled to vote on a resolution designed to stop future attacks against hospitals, patients and civilians in war zones. Update: We're pleased to see that Canada will be co-sponsoring this resolution. Later this month, states will gather in Turkey for the World Humanitarian Summit where they will make core commitments in regards to humanitarian issues. One of the High-Level Leaders’ Roundtables is on “Upholding the norms that safeguard humanity” where states will have the opportunity to speak out on the targeting of civilian objects like medical facilities. In both these discussions, states have the responsibility to speak out against the targeting of medical facilities and personnel and to take action to protect those who risk everything to save lives in conflict. Jean-Philippe Lambert Ste Marie is an undergraduate student at the University of Ottawa and a Mines Action Canada research assistant and Erin Hunt is the Program Coordinator at Mines Action Canada. I have been working with Mines Action Canada since January and today is already my last day as an intern here. My study abroad year has come to an end and next week I leave Canada and from September I will be finishing my undergraduate degree in political science at the University of Leeds. As an intern at Mines Action Canada I learned a lot about a field that previously I was not very familiar with. While the focus area of Mines Action Canada may not seem very uplifting with its focus on explosive weapons and landmines, I was happy to discover that while there is still a lot of work to be done, it is important to remember that so much progress has already been made. Unfortunately it is human nature to focus more so on the negative than the positive, but having worked here I have realised that there is much to be celebrated in regard to disarmament and the use of explosive weaponry. For example, more and more countries are joining the landmine treaty, countries are co-operating in order to stop the future use of autonomous weapons or “killer robots” and an ever increasing number of countries are finally being deemed as “mine-free” after decades of conflict left them as extremely dangerous places to live. Working here also taught me how rewarding it is to be involved in humanitarian work, even in the small way that I became involved. I think many people become disillusioned when they read about such huge issues as landmine contamination or the use of improvised explosive devices; however working with Mines Action Canada has shown me that there is a multitude of ways that anyone can become involved and try to make a difference. I have not made firm plans as to what I would like to do post-graduation, but working at Mines Action Canada has definitely opened my eyes to the world of humanitarian work and so this field is definitely something that I would consider. Claudia Pearson is an undergraduate student from the University of Leeds studying abroad at the University of Ottawa. On December 8th 2005, the United Nations General Assembly declared April 4th the International Day for Mine Awareness and Assistance in Mine Action. The purpose of this day is to raise awareness on mine action and remind the population of the danger that landmines pose all over the world. It is also an opportunity to highlight all the exceptional work that mine action personnel and advocacy groups do around the world; and to point out that dealing with explosive hazards are only one aspect of mine action work. It is also a moment for the United Nation to reaffirm its partnership with states, non-states actors and non-governmental organizations (NGOs) like the International Campaign to Ban Landmines (ICBL) to eradicate all anti-personnel landmines across the globe. This year the ICBL is using the slogan: “Finish the Job 2025” and the United Nations official theme of International Mine Action Day is “Mine action is humanitarian action”. Let’s look at both of those themes. In 2014, capitalizing on the momentum provided by the Third Review Conference of the Ottawa Treaty in Maputo, the ICBL challenged the international community to fulfill the promises of the Treaty and to realize a mine free world by 2025. The states present at the Review Conference adopted the Maputo Declaration which set the same goal. The Ottawa Treaty or as it is often called, the Mine Ban Treaty, was signed in Ottawa in 1997 and entered into law in 1999. It is one of the world's most endorsed treaties. Over 80% of world's countries have committed to it. This universalization of the treaty helps reinforce the stigma now associated with the use of landmines; and this tactic is obviously working. To see the success in action we looked at Landmine Monitor 2005 which identified 6,521 new landmine/UXO casualties in calendar year 2004. The Landmine Monitor 2015 identified 3,678 new casualties in calendar year 2014, the second lowest number of casualties since 1999. The drop in casualties alone between 2005 and 2015 is worth celebrating but there are more successes that show it is possible to Finish the Job by 2025. In the year the Ottawa Treaty became binding international law, there were 45 states parties. Fifteen years later, we have 162 states parties and Sri Lanka has announced they will soon be #163. Contamination by landmines and explosive remnants of war prevent civilians from accessing basic necessities such as drinking water. Contaminated lands and farms cripple development of agriculture exacerbating poverty. Thanks to landmine clearance and the hard work of mine action personnel, now communities in the Battambang province in Cambodia can grow produce on their farms and sell them to local markets; while the city of Bentiu in South Sudan now have access to safe drinking water since the local borehole has been cleared of explosive remnants of war. Mine action also plays a crucial role in relief efforts. For example, in 2014, the World Food Program initiated a project to build a road in South Sudan so that humanitarian assistance could be delivered by road to villages affected by the ongoing conflict. It is estimated that approximately 2.5 millions of South Sudanese were in need of food assistance at that time. However, during the first few days of the project, a bulldozer hit a anti-tank mine. The project had to be suspended while the United Nations Mine Action Service (UNMAS) cleared the area of remaining explosive hazards. The team cleared close to 27,000 km of road, allowing vital humanitarian assistance to reach those in need; saving countless lives. The work that mine action staff do has a concrete and direct impact on the lives of millions of civilians affected by conflict. Every day, countless lives are saved and changed for the better by mine action whether is clearance of land, risk education, assistance to victims or advocacy. 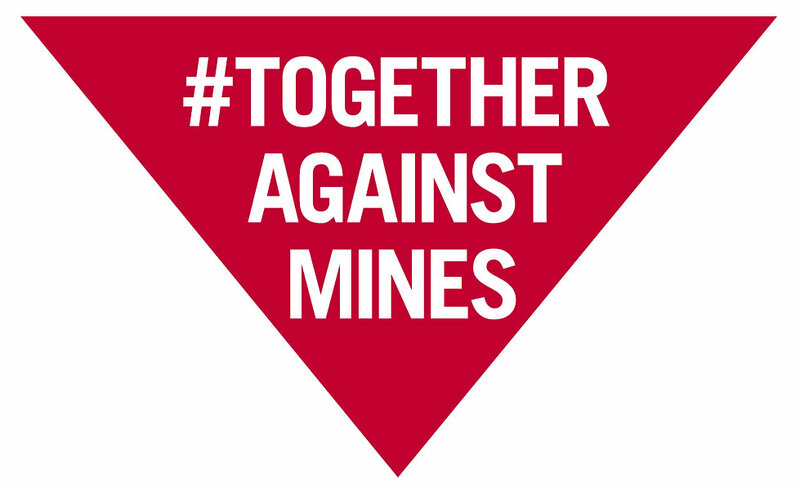 One can only hope that in the near future the International Day of Mine Awareness and Assistance in Mine Action be a day of remembrance of what used to be. Jean-Philippe Lambert Ste Marie is an undergraduate student at the University of Ottawa and a Mines Action Canada research assistant. On 3 March 2016, the Sri Lankan government finally approved accession to the Ottawa Treaty, which bans the use, stockpiling, production and transfer of anti-personnel landmines. Sri Lanka will soon be the 163rd state party to the Mine Ban Treaty, as it is also known. Sri Lanka’s ratification of the Mine Ban Treaty is a significant step that should greatly accelerate the process of mine clearance. Now, neither the government, nor any non-state actors, can exacerbate the problem any further. Ambassador Aryasinha, the Sri Lankan representative to the United Nations speaking at the Palais des Nations in Geneva on March 2, announced that the government wishes Sri Lanka to be a mine free country by the year 2020, and that a strategic plan is currently in the making to achieve this goal. Three decades of armed conflict between the Sri Lankan government and the Liberation Tamil Tigers left behind extensive mine and ERW contamination. The conflict came to an end in 2009, by which time it is estimated that approximately 300,000 people had been displaced. Following the war, almost 2,064 acres of land had been contaminated and were in urgent need of clearance before displaced persons could return to their homes. While the government decided only days ago to ratify the Mine Ban Treaty, work has been underway for some time to combat the issue of contamination. For example, in July 2010, a National Mine Action Centre was created. It has become the government's lead agency in national demining efforts. Furthermore, it was reported that in 2014, a number of NGOs conducted demining activities in Sri Lanka. This included a Sri Lankan non-profit, Delvon Assistance for Social Harmony (DASH), as well as two international NGOs – the Halo Trust, and Mines Advisory Group (MAG). The work of these various organisations has had a significant impact, and as of December 2015, 2,000 acres of land had been cleared. With the combination of the Sri Lankan government’s acceptance of the Mine Ban Treaty, and the significant progress that has already been made in terms of clearance, it seems extremely likely that by 2020, Sri Lanka will achieve its goal of being a mine free country. Mines Action Canada welcomes this decision by the Sri Lankan government and thanks our colleagues in the Sri Lankan Campaign to Ban Landmines for their years of hard work to make this a reality. This post is the first in a series by MAC student interns. Claudia Pearson is an undergraduate student at University of Leeds currently on exchange in Ottawa. Mines Action Canada welcomes today’s statement by the Honourable Stéphane Dion, Minister of Foreign Affairs that recommitted Canada to achieving a mine-free world by 2025 and expressed support for the universalization of the treaty banning landmines. Minister Dion called on states to summon the same courage that landmine survivors demonstrate daily in order to achieve the goal of a world without landmines by 2025. Minister Dion made the statement in Geneva at the First International Pledging Conference of the Anti-Personnel Mine Ban Convention. Commonly known as the Ottawa Treaty it bans the use, transfer, production and stockpiling of anti-personnel landmines. The Pledging Conference was organized by Chile which currently holds the Presidency of the treaty. Minister Dion appeared on a high-level panel with former UN Secretary General Kofi Annan; Peter Maurer, the President of the International Committee of the Red Cross; the Foreign Ministers of Chile and Colombia; as well as, Ms. Tammy Hall, a Canadian who is Head of Demining of the Danish Demining Group and Mr. Firoz Alizada, Campaigns and Communications Manager of the International Campaign to Ban Landmines. This statement comes one day after the 17th anniversary of the Ottawa Treaty becoming international law. Over the past 17 years, the Ottawa Treaty has resulted in a dramatic drop in number of new casualties, nearly 30 affected countries have become free from the scourge of landmines, and the stigma on landmines continues to hold strong. With this statement, Minister Dion reaffirms Canada’s dedication and leadership in implementing the steps necessary to realize a mine-free world by 2025. The Minister’s statement was not the only big news of the Pledging Conference. The Sri Lankan Ambassador announced that Sri Lanka’s cabinet approved accession to the Ottawa Treaty this morning meaning that Sri Lanka will be to acceding to the treaty before the end of the year. With this exciting announcement, Sri Lanka will soon be the 163rd State Party to the Ottawa Treaty. The Pledging Conference also saw strong statements and funding announcements by Australia, Cambodia, Finland, Jordan, Thailand, and more than 25 other states. Mines Action Canada looks forward to working with the Government of Canada and partners around the world in achieving a world without landmines. For Canadians working on nuclear disarmament, the CBC headline “Anti-nuclear weapon effort to be spearheaded by Canada's UN ambassador” appeared to give a reason to be hopeful. We’re at a crucial moment in the movement to eliminate nuclear weapons. Civil society is calling for a treaty banning nuclear weapons and many states agree. Over 120 states have pledged to “fill the legal gap for the prohibition and elimination of nuclear weapons.” This year the international diplomatic community is starting a new Open-Ended Working Group at the United Nations “to substantively address concrete effective legal measures, legal provisions and norms that would need to be concluded to attain and maintain a world without nuclear weapons.” The Open-Ended Working Group is an opportunity for states to start talking about a new legal instrument to prohibit nuclear weapons. Not only is this sentence disappointing, it is also untrue and the Canadian government should know that better than anyone. To say that a ban on nuclear weapons is “not politically feasible” because some possessor states won’t negotiate overlooks our own history. Twenty years ago, Canada led an international process to ban an indiscriminate weapon despite the fact that some of the states that had those weapons refused to negotiate. That weapon was anti-personnel landmine and the Ottawa Treaty has resulted in huge declines in annual casualties, tens of millions of stockpiled landmines being destroyed and in entire countries being cleared of these lethal barriers to development. We, at Mines Action Canada, constantly see the impact of this treaty even though a few states that have landmines remain outside it. Since the treaty was signed in Ottawa, states that originally refused to participate have joined and the norm against landmines has grown stronger. The vast majority of states that still remain outside the treaty abide by the norm created and the spirit of the Ottawa Treaty. With enough states participating, the norm created by a ban treaty becomes hard to ignore and the norm against landmines started with fewer states than have currently pledged to close the legal gap for the prohibition of nuclear weapons. Banning nuclear weapons may actually be more politically feasible than a ban on landmines was twenty years ago because the elimination of nuclear weapons is a widely accepted international goal unlike the elimination of landmines at the time and only nine states have nuclear weapons whereas at the time of the Ottawa Treaty negotiations almost all militaries had landmines in their arsenals. The majority of the world is ready to take the next step towards nuclear disarmament, why won’t Canada join them? Mines Action Canada's Program Coordinator, Erin Hunt, spoke at a briefing during the United Nations' General Assembly 1st Committee on engaging youth in nuclear disarmament. Thank you for the kind introduction Anna. As mentioned, I work with Mines Action Canada. We, at MAC, have a long history of working with youth in disarmament issues. While we work mostly on landmines and cluster munitions, I have had the honour of working with SGI, PAX, Reaching Critical Will, ICAN, and the Nuclear Age Peace Foundation on the International Youth Summit. Matt will talk more about the Summit and Youth Pledge but I would like to take a few minutes to share some reflections on youth engagement in nuclear disarmament and how we as civil society, states and the United Nations can foster more youth involvement. Youth make up 25% of the global population and that figure is growing. Today’s youth are or will quickly be the ones sitting here in the United Nations and the ones making decisions back in capitals. At the moment, youth are often outside these discussions on nuclear disarmament but they have much to contribute to our work here. Youth have fresh energy and ideas that may help break the log jams slowing disarmament. As digital natives, youth are not only up to date with the changing world but they are the ones building it. Young people are the ones designing how we interact and how information is shared through technology. For example, the founders of Instagram, Facebook, and Twitter were all youth at the time of their launch. In this rapidly changing and increasingly connected world, governments are working to become more open and to engage their citizens directly – two things the next generation expect from their leaders. If we miss out on including the next generation, the world will be much poorer. Youth have expertise. Expertise that can contribute to achieving our shared goal of the abolition of nuclear weapons. Please do not confuse youth with inexperience or lack of expertise. Youth already involved in nuclear disarmament are usually passionate, and highly educated on the topic. In my experience, youth campaigners seek out knowledge to counter the tendency to dismiss young people as naïve and ill-informed. Once youth are involved, they often stay involved. For example, when I aged out of the youth category I had been involved in some type of disarmament advocacy for almost 11 years; I’ve met other youth who have been working on nuclear weapon issues since they were in high school or younger especially amongst impacted communities. Youth who are interested in health, human rights, the environment, disaster management and of course, international affairs can apply their expertise and contribute to nuclear disarmament. For youth who want to become in engaged, the humanitarian initiative on nuclear weapons provides a less intimidating entry point. The threats that nuclear weapons pose to humanity and this planet are concepts that outsiders can understand without intensive education in security studies and cold war politics. The widespread involvement of civil society in the humanitarian initiative gives youth more opportunities to participate. Anyone who was in Oslo, Narayrit or Vienna could see that there were more youth there than you would see at a meeting here, at the NPT or at the Conference on Disarmament. For the most part, getting young people interested in the issue is actually the easy part. Despite the “slacktivist” stereotype, youth want to contribute meaningfully to change. Youth want to see results so keeping youth engaged is more difficult and much of that has to do with how work on nuclear disarmament is done. That means we, as a disarmament community, need to examine our methods of work - as we currently operate it is difficult for youth to create change. Civil society is not alone in needing to take action to ensure that youth can contribute meaningfully to disarmament work. States and the United Nations have a role as well. Very little about nuclear disarmament discussions at the international level is youth friendly. Traditional disarmament forums lack space for youth. Instead, these forums are characterized by limited civil society engagement, diplo-speak and jargon, technical explanations and almost incomprehensible machinery moving at a glacial pace. Since most of these structures and processes have decades or century old roots I don’t expect massive changes overnight to allow for more youth involvement, but there are some things that can be done now. Civil society participation can be increased in all disarmament forums – this really shouldn’t be a controversial suggestion. At the national level, parliamentarians and other decision makers can increase their availability to young people in person and online. Youth representatives can be included in government delegations internationally – we see this in other areas of international work but not as much in disarmament. Digital diplomacy is a good tool for increasing youth access to disarmament forums. Funding can be provided to allow youth to take part in disarmament activities be it 1st committee, the NPT or meetings outside the UN system as full participants – that might need to include training or briefing costs as well as the cost of actually being at the meeting (disarmament tends to happen in expensive cities that are out of reach for many young people). In my experience, youth engagement projects like thata have a large impact for a very small resource investment. These small changes to how disarmament is done may help open space for young people to get involved and to contribute to nuclear abolition. Changes will need to be made to how nuclear disarmament is done not only to facilitate youth engagement but also to help adapt nuclear disarmament discussions to the 21st century. In many ways disarmament and international security discussions have not kept pace with changing society. Youth seem to be embracing the idea of our shared humanity – the world needs to change because it doesn’t reflect our shared humanity. Youth want to see more diversity among decision-makers and have more access to those decision-makers. A generation raised with limitless access to information and instant global communication expect to be able to know what is going on as it happens and to be able to communicate directly with decision makers. The idea that decisions about weapons that could eliminate all life on the planet are being made behind closed doors without consultation with the next generation does not fit into the globalized, connected, open, transparent and humane world youth are building. We are going to have to change how this work is done or the next generation will simply bypass what they see as outdated models of working in favour of new forums and ways of working that include them and their values. As you will hear from Matt, youth around the world are taking action in pursuit of nuclear disarmament and ready to contribute more. With youth making up 25% of the global population and growing, we can’t afford to keep youth out of the conversation.